We recommend De Gustibus for all who are looking for a truly unique, authentic, and memorable experience. 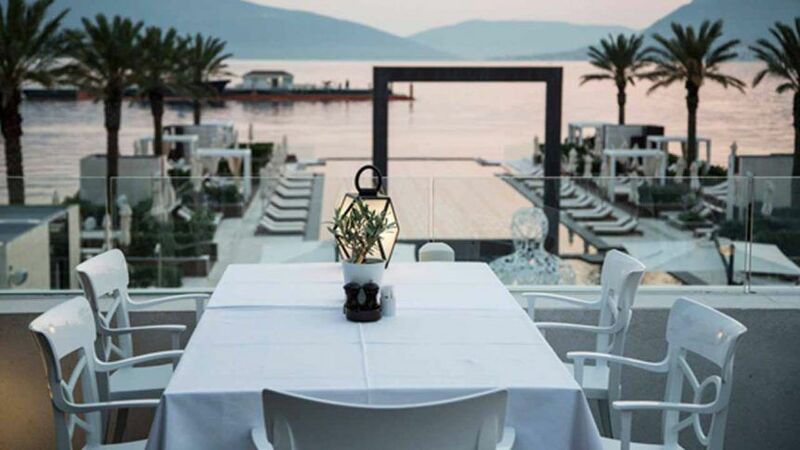 Select your favourite freshly caught seafood from our open fresh fish stall; then sit back, relax, and take in the gorgeous sunset overlooking the impressive PMYC Pool and Boka Kotorska Bay while your dinner is being delivered from the sea to your plate. Enjoy an upscale but laid back restaurant atmosphere or stop by our buzzing mezzanine floor lounge for a delicious cocktail or a live performance.